How can you get a new cell tower in your neighborhood? Easy answer: you pretty much can’t. Let’s say you were fed up with bad reception and your goal was to bring a new cell tower into your neighborhood so you and your neighbors could benefit. Here’s one possible way it could go. Find a company willing to do it. This is probably the easiest. Cell towers make good money after their initial investment so there are companies out there looking for places to put them. These companies usually do the hard work of making contracts with the major cell carriers, putting up the tower and operating it. However, chances are they’ve already tried — and failed — to place a tower in your neighborhood. They know where cell signal is weak and they want to be the ones who jump in and make it strong. Research the local codes and ordinances. Let’s say you have an interested company and they need your help working with your city or town. You’re going to need to know the kind of towers you can put up. This means researching all sorts of local laws, codes, and ordinances. Most cities won’t let large towers go up in residential areas, but they might allow smaller ones to go up on power poles or telephone poles. If your area has buried utility lines, this isn’t for you. Find a place that you can put a tower and see who owns it. If you want to put a cell tower on a utility pole, it can be a challenge to figure out who owns it. It could be the electric company, the city, the phone company, or someone else. Your city clerk or director of public works could possibly help you, or you could end up in a dusty basement trying to figure it out from moldering paperwork. Once you’re well-equipped to make a pitch to your local officials, you’ll need to convince them that a cell tower is a good addition to your neighborhood. It may take a change to zoning, which could take months. If it’s just going to be up on a utility pole, things can go a little faster. They may need to see mockups, drawings, have an impact study… be prepared to take some time and spend some money on this step. By now, if you’re still part of the process along with the operator of the tower, you’re probably about 2-3 years in. 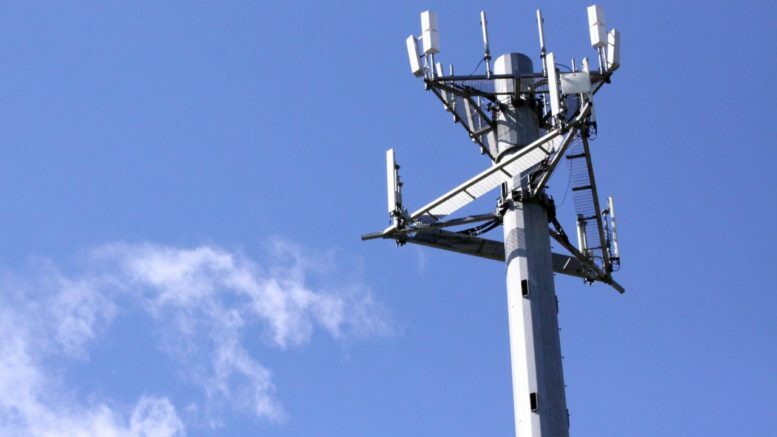 You’ve spent a fair amount of money on surveys, paperwork, discovery, and the cell tower company has spent even more on system design and engineering, and getting contracts negotiated. Luckily things can go quickly from here. Within a few months you’ll be enjoying better cell service and it will all be worthwhile. If you don’t feel like spending hundreds of hours over the course of several years to get better cell service, you can have better cell service now with a cellular booster from Solid Signal. If you have one bar of signal when you’re standing on your roof you can get great cell service inside. If you can’t get up on your roof, then all it takes is one bar of signal when you’re standing at your windows to use an indoor-only booster. Installation is easy and all Solid Signal cellular signal booster kits are designed with everything you need. If you can turn a wrench and drill a hole, you’re set. Even if you can’t, you can still enjoy a real boost in your cellular signal. Best of all, you can enjoy great signal by the end of the week, not by the end of the decade! If you have any questions about cellular signal boosters, give us a call at 877.312.4547 and we’ll happily recommend the best one for your situation.